Plymouth, Connecticut resident Sarah Perrotti recently joined the innovative, highly skilled and social media-focused Regency Real Estate group in Watertown, Connecticut which 'utilizes social media to its full capacity." WATERTOWN, Conn. - Feb. 25, 2019 - PRLog -- REALTOR Sarah Perrotti of Plymouth, Connecticut has joined the team of Regency Real Estate in Watertown at 1278 Main Street, Suite 6, https:www.RegencyHomesCT.com. Perrotti identifies herself as a "transition expert who helps clients from the start of a transaction to well after it closes." Utilizing knowledge she obtained from receiving her Master's Degree in Social Work, Perrotti works to help people through the notably emotional aspects of buying or selling their home. Previously working as a Realtor with William Raveis in Southbury, Perrotti transitioned to Regency Real Estate in January of 2019. "Being a resident of Plymouth," she explained, "I wanted to join a company that is innovative. Regency Real Estate has a highly-regarded reputation for most comprehensive and unmatched marketing package and utilizing social media to its full capacity." Perrotti possesses passion and practical experience in real estate, home ownership as well as rehabbing properties. With her husband, David, owner of Fine Home Contracting, she applies her extensive knowledge and resources to every real estate transaction she undertakes. 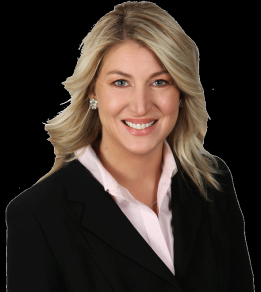 Sarah Perrotti is highly skilled in sales, social media marketing and negotiations. A graduate of the University of Connecticut with both her undergraduate and graduate degrees Perrotti majored in psychology and social work respectively. Today she is an active member with the Waterbury Regional Chamber and the Northwest Connecticut Chamber of Commerce. She serves on the Board of Directors for Habitat for Humanity of Greater Waterbury. Realtor Sarah Perrotti can be reached at Sarah@RegencyHomesCT.com, 203-558-5681 or 860-945-9868.